Euro NCAP has announced its strategic Roadmap to 2025 which details that testing will rely on vehicle targets like the Guided Soft Target and the Soft Pedestrian Target from AB Dynamics. The GST from AB Dynamics is an essential tool for developing future driving assistance technology and will be used to test the next generation of ADAS such as Automatic Emergency Steering (AES). Similarly, the SPT will be used with Pedestrian, Bicycle and Powered Two-Wheel Vehicle Safety as it can precisely synchronise the movement of a dummy with that of an oncoming vehicle. 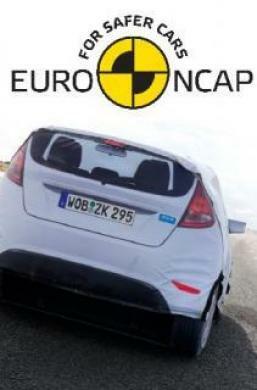 Since its establishment in 1997, Euro NCAP has been the catalyst for significant and sustained advances in automotive safety. Celebrating its 20th anniversary this year, their independent crash tests and continuously evolving assessment protocols have given consumers the knowledge they need to help choose safety equipment and an estimated 78,000 lives have been saved in the EU as a result. AB Dynamics work with Euro NCAP to challenge vehicle manufacturers to offer the best possible technology as standards in all segments and countries, protecting not only car occupants of all ages but also increasingly addressing the safety of other more vulnerable road users.